Lazanki (pol. Łazanki) is Polish traditional pasta dish which arrived in Poland in 16th century from Italy when Bona Sforza, Italian wife of King Zygmund the Old, brought high Italian Cousine to the country. Lazanki is prepared from pasta shaped into small rectangles mixed with ground meat, cooked cabbage, mushrooms and onion. Lazanki seems to be recently forgotten in everyday Polish cooking but it is important that it survived into the 21st century. In this video, Ula shows how to make a quick, healthy, traditional and delicious meal – Lazanki. Posted in: Main Courses. 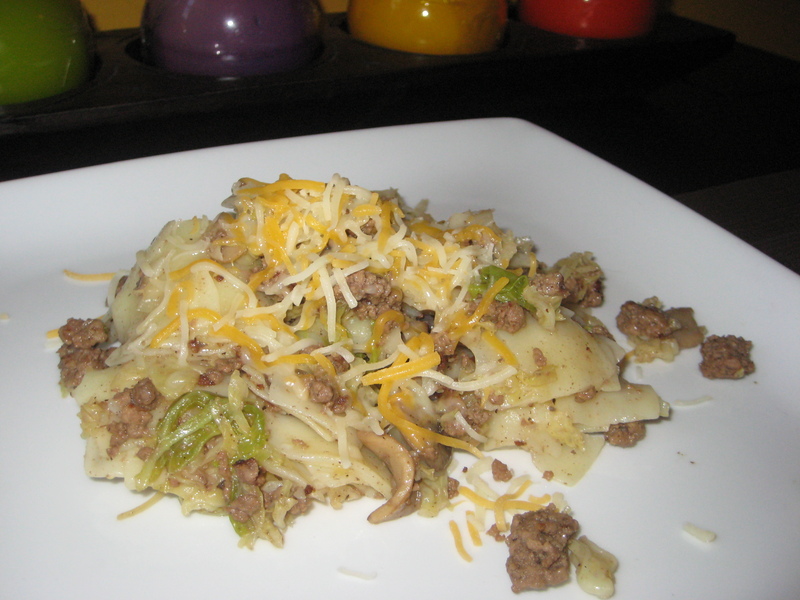 Tags: cabbage, ground meat, mushroom, onion, pasta. This is also an amazingly delicious recipe. It is also great using wide rice noodles broken into smaller strips or without the pasta. No its not lasagna, And best is with mushrooms and sauerkraut. This looks interesting, like a mix of a Hungarian dish we make only with this pasta and cabbage. I can’t wait to try this from our common kind Zsigmond.